We might have had great plans for 2019 and we are just into the third month of the year. However this might be the time where we might have lost a little bit of momentum. I want to pull together some key ideas to keep the momentum going so that we keep that enthusiasm we have at the start of the year for the whole year. M. Scott Peck begins his best-selling book “The Road Less Traveled” with the words “Life is Difficult.” We have all experienced difficulties and failure but the key question is how we can use failure to improve our success. In fact it might even be better to not label anything a failure. One example of a team that continuously falls short in big moments (world cup) is the South African cricket team which has always failed at knock out games in their world cup campaigns with one exception. They were highly fancied during the 2015 world cup held in Australia/New Zealand and still lost in the semifinal. It is likely that they are not able to bury the ghosts of past failures which is required if they ever want to win and go all the way. Let us see how they do in this year’s world cup. Here are some answers I have expanded with each letter of the word Failure. John Maxwell begins his book Failing Forward with the thesis that “All successful people have one characteristic which is different from others and that is how they respond to failure.” The famous quote from IBM founder Thomas J. Watson comes to mind. He said “If you want to increase your success rate, double your failure rate.” Everyone is going to fail no matter what so all that matters is dust it off and move forward learning what you need to from the failure. Sometimes you win, sometimes you learn. Failure is merely another way to intelligently begin again. Never give up on your overall vision and remember obstacles come not to obstruct but to instruct. We can even call failures as challenges that are meant to be overcome. Success is not avoiding failure but accepting it and moving forward towards something bigger. In the Jim Collins and Morten Hansen book “Great by Choice” they say all the great leaders whom they call 10Xers have three qualities which make them special and they are fanatic discipline, empirical creativity and productive paranoia. To overcome failure we need to have fanatical discipline to keep our commitments/vision/goals front and center of our lives. When the going gets tough the tough really get going. In fact welcoming failure and overcoming it can become a game which you keep winning always. The one thing that is certain in our lives is uncertainty so we do need to equip ourselves to deal with it. I like this quote “If you are not getting better you are getting worse.” Your greatest threat to your future success is your current complacency or as some put it nothing fails like success. At the height of your success reexamine your life, set higher standards, believe in more and always have a beginner’s mindset. The greatest enemy of tomorrows success is today’s success. Never be complacent. I read in Fast Company that Laurene Powell Jobs calls Steve Jobs a “learning machine.” He learned from his many failures and relentlessly applied those lessons. I read that Bill Gates always thought about the possibility of failure and he hangs a poster of Henry Ford to remind that everyone including the best entrepreneurs can be surpassed as Ford was by GM in the early days of the auto industry. He uses it to channel him rather than sabotage his plans. He is always on the edge continuously thinking of next best thing so that he doesn’t get knocked out. This is a great attitude to have. Constantly seeking to improve ourselves helps in overcoming any failures and we can see failures as merely detours in a long journey towards mastery. Some tactics to be on the path for continuous improvement are reading widely in your field and other topics, listening to educational audio books, listening to inspirational videos on you tube, reading magazines on business, taking classes/certifications in your field of expertise. Life is not a sprint it is a marathon. If we want enduring success we cannot be impatient. Rome was not built in a day, we can’t lose weight in a week, and we can’t become world-class in a year. As researchers have confirmed for anyone to attain mastery in their chosen craft it requires 10000 hours or roughly 10 years of deliberate practice. Deliberate practice is not easy, it involves sacrifices a key word to remember when considering the long haul. You have to keep practicing a skill for a number of years before you get public acclaim. Tony Robbins says people get praised in public for what they practice for years in private. We should remember the Nike Slogan “Just Do It” and get on with our lives. 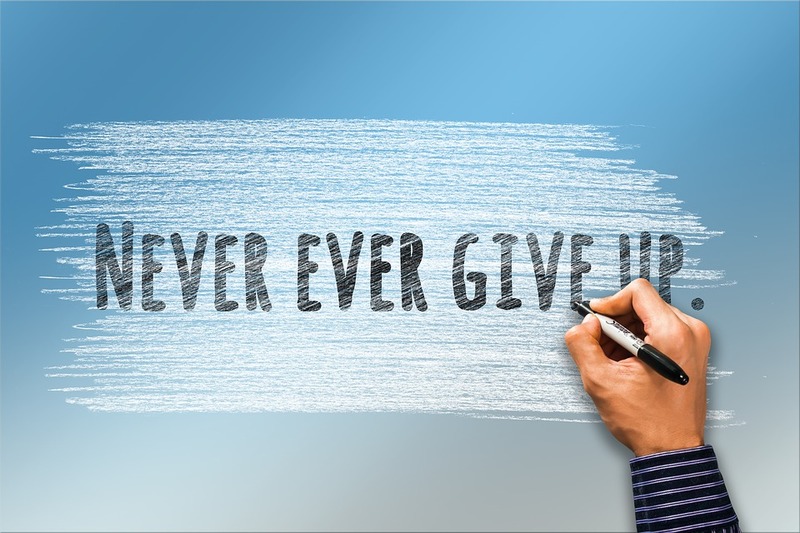 Life doesn’t stop and as Napoleon Hill famously quoted “Every adversity carries with it the seed of an equivalent benefit.” You can use setbacks as a spring board to further your aspirations and life is indeed what we make of it. Long term thinking and an exciting bold vision masks short term failures keeping you motivated for a larger cause. Keep the mental picture of your final victory in your mind as you go through the trials and tribulations of day to day life. As the opera singer Beverly Sills observed “There is no shortcut to any place worth going” so remember it is going to take time for success to show up but it will be worth the wait. When we encounter failure it is good time to reinvent ourselves. Human beings have the enormous capacity to reinvent our lives even under dire circumstances. As Victor Frankl mentioned “Everything can be taken from a man but one thing: the last of the human freedoms—to choose one’s attitude in any given set of circumstances, to choose one’s own way.” We can choose our destiny, we can reinvent our lives, and we can turn our past failure into stepping stones for greater things. The only thing that is stopping us is a lack of a bigger vision for ourselves. As General Douglas McArthur says “There is no security in life only opportunity.” The story of human life is the story of overcoming enormous odds and rejections. An example is the Chicken Soup for the Soul series; it was rejected by nearly 140 publishers before it was finally published. As a young cartoonist Walt Disney faced many rejections from newspaper editors who said he had no talent. Young Beethoven was told that he had no talent for music but he gave some of the most memorable music of all time. Let’s just remember this whenever we face one or two rejections. We need to really DIG DEEP and bring our best self to light. Reinvent and recreate so that you live an extraordinary life full of possibilities. Develop high self-esteem and don’t allow anyone to put you down or your dreams. Without internal energy it is impossible to overcome failures and live the life of your dreams. We need both physical and mental energy for the long haul. Our life will go through seasons of happiness, despair, failure and success. Through it all the only thing that can sustain us is our energy. To maintain physical energy we need to take care of our body through regular exercise, proper diet, adequate sleep, constant recharging of the batteries and regular medical checkups. To keep our mind sharp and active we need to keep feeding the mind with the right material. We need to be in constant engagement of the mind with positive, uplifting books, magazines, and videos. Writing in a journal and keeping track of our victories even small ones can keep us energized, positive and upbeat about the future. The greater energy we have the easier it is for us to meet failure and overcome it. Failure is not the end but it is only the beginning of something much greater.